News is circulating the Net today of a discovery of animal-shaped mounds in Peru. It’s being hailed as something unusual and something much older than the mounds found in North America. One article notes that the mounds of North America are not nearly as old as these in Peru, which are said to be some 4,000 years of age. 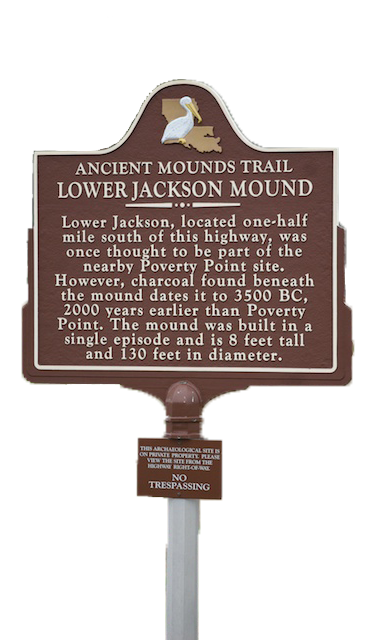 For the most part, this observation seems accurate, save the mound at Lower Jackson Mound in Epps, Louisiana, just about 1/2 mile due south of the Bird Mound at Poverty Point. The other truly exciting and exceptional piece of information pointed out in Antiquity, included in the articles is the suggestion that the Peruvians were doing archeoastronomic alignments with their mounds, a similar suggestion as to things that may also have happened with those built in North America. There was one other observation we noted in looking at the work of the Peruvians. Much was said in the two publications about how curious it is that these mounds happened so far away from the ones in North America and that they do not seem to exist anywhere else on the planet but these two continents. Not having been able to find the exact GPS coordinates for the two sites found by University of Missouri anthropology professor emeritus Robert Benfer, we are going on the assumption that the two Peruvian sites are close to S 12° and W 77° with varying minutes and seconds. It is our curious observation, with a world 360° round, that the North American mounds nearly all can be found within W 82° and W 91° longitude on the map, which puts them between 5° and 14° apart at the most from the Peruvian mounds. The separation comes from latitude of S 12° and N 32° – 40°. It would seem to us that this is indeed, more of a matter of them actually not being very far a part at all east-to-west, and begs the question about why, with all the other places on earth, these mounds only seemed to have been built within such a tight band of longitude. Most of the sites we have observed through our work at The Wonders Expedition seem to have more of a correlation or to be grouped within latitudinal bands. The fact that these are longitudinally so close to us is the most curious point of all. We’re in the process of writing a position paper associated with our recent visit to Poverty Point, Louisiana, USA during the December Solstice. During that trip in the Southeastern United States, we were amazed to learn there are more than 4,000 ancient mounds located within the state of Louisiana alone. We were even told that when a new one is discovered today in Louisiana, carbon dating is done to ensure it’s not older than what’s previously been discovered, and then most likely, something is built on top of it to preserve the grounds but to prevent the need to create any more historical sites. 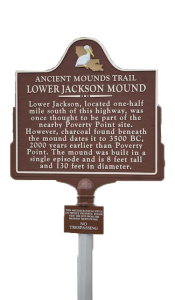 One of the most intriguing sites we also learned about was the Lower Jackson Mound which is within eyesight of the Bird Mound or main mound at Poverty Point. Carbon dating shows that Jackson Mound was being constructed in Louisiana at the same time the pyramids were being built in Egypt. That’s fascinating when juxtaposed to the teachings we’ve learned in schools for the past several hundred years and even modern-day jabs and jokes about the intelligence of Cajuns. To boot, the Poverty Point site is just two degrees north of the pyramids, but thousands of miles away to west. The whole premise of The Wonders Expedition™ is that it’s not a natural inclination to go out and build a pyramid/mound/dolmen/megalith etc. in one’s backyard. And yet here are two examples of where mankind did just that at nearly similar latitudes, separated by dozens of degrees of longitude and oh yes, an ocean. Why is it man did this? Such is what we seek to reveal…..
At the moment I’m writing from the lobby of a hotel in Monroe, Louisiana, in the Southeastern United States. We are on our way to Poverty Point Park near Epps, La, to explore a site built by native Americans more than 3,600 years ago. Our interest in Poverty Point is focused on it’s archeoastronomic ties–in simple terms, it’s said that at sunset tomorrow, there should be some sort of visible correlations between the site and the angle of the setting sun. 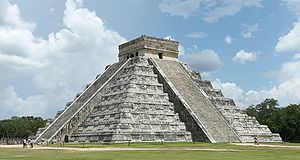 I began to pull the GPS coordinates of the original ancient, medieval and modern Wonders of the World and surprisingly began to see that many similar sites of spectacular engineering throughout history lined up in bands going east-to-west around the globe. We now have a list of more than 250 sites as you can see on the map on the front page of the site. It’s pretty amazing stuff. Fascinating stuff. In the past five months, I’ve done a lot of comparative analysis and it continues to this day. Those findings will be presented formally in the coming weeks and months as we continue to build out the site and of course, expand the map on the front page–most notably moving beyond Flash. So why are we headed to Poverty Point? Did I mention that some estimates say it took 30 MILLION 50 pound bags of dirt to build this site? Tomorrow evening also marks the 2012 December Solstice. (We’d considered a trip to Chaco Canyon in New Mexico, but I think we’re going to save that for the Summer Solstice.) Tomorrow officially is the shortest period of daylight and the longest period of night time darkness in the Northern Hemisphere of 2012. I find it amazing that 3,600 years ago, nearly 2,100 years before Christopher Columbus “discovered” America, and just a few hundred years after they had finished building the Great Pyramid of Giza, there had to be thousands of Native Americans with enough savvy to decide how to build these six-concentric half-rings and also align part of it with the sunset in late December. The symbol system used as such sites was comparable and interpreted in similar ways among people who were widely separated, often with different languages and substantially different cultures. It’s point three that I’m focused on with TWE’s initial research as it seems to have application beyond the Southwestern United States. But more about that tomorrow. There’s a great chance of rain in Louisiana Thursday. I hope it’s not enough to dampen our spirits and exploration of Poverty Point. Time to get the girls nestled up and off to sleep–ha, with them being teens I’ll probably be asleep before any of them. We are proud to announce that Vicki Cosgrove of Chevy here in North Texas called us about an hour ago to notify us we will have the use of a 2012 Chevy Traverse for the first road trip of The Wonders Expedition™ to Poverty Point, Louisiana. On Twitter we will be using the hashtag #TWEChevy for the trip. Make sure you follow us. You can also check out updates from Facebook. Details on the trip to follow. Most importantly, we wanted to say thank you to Vicki Cosgrove. We only made the request late Friday. There still are Christmas Miracles…..